I've upgraded my FT5 with dual titan aeros, one is a high temp for printing Ultem and PC (titanium heat brake, copper block, PT100, steel nozzle). I want extruder 0 to be the normal one, and E1 to be the high temp, so I left the firmware the way it was for 0 (TEMP_SENSOR_0 1) and changed T1 to TEMP_SENSOR_1 20 for the PT100. I also changed the pins.h, problem is m105 is reading correct for E0 and reading 1100c for E1 at room temp. Could this be a hardware problem with my amp board, or is there something else I need to change in firmware? Yeah I have the one from E3d, same thing though its an amplifier. I've checked and I have it wired correctly, I'm thinking it's a firmware issue. 1100C looks like an open circuit: Positive Temperature Coefficient (PTC) thermistors read full-scale when the thermistor or wiring brakes. Get a multimeter and read the thermistor resistance. It's reading 10.4 with the multimeter set to 200k, the other side of the amp board reads 4.97v between ground and +, and 1.2v between ground and signal. The pt100 amp board table on the E3d wiki shows 1.2v as 20c, which is what my thermistor on the other extruder reads as room temp, so the amp board is putting out the right values. I do not have an IR thermometer but I checked that the output does change to 1.32v when heating the hotend up with a heat gun. E3d table shows 1.32v as 50c, which seams right to me. So the board is not reading it right, anybody have any ideas on this? Also my bed and SSR are blowing the stock 3amp fuse on the power switch when bed temp is set above 60c. Would I be safe to put in a higher fuse? If so what amp? Or should I just connect the SSR to a separately fused mains input? this is what I've been told to change to and what the e3d wiki says, but I was under the impression that the ultimakers didn't need the amp board to work. So does that mean this option should only be used on ultimakers? 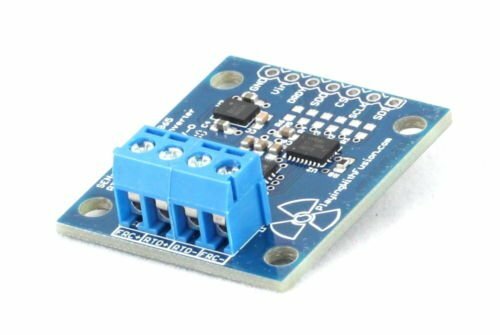 Now I believe the 3 temp sensor connectors on the board (E0, E1, bed) are all 4.7k pullup, so could I use 1047 or 147 as temp sensor and plug the pt100 right into the E1 plug, without the amp board? I'd rather get it working the way I have it wired now, with the amp board and signal to pin A3. Ok I figured it out, pins.hhad a line that said to include pins_MKS_13.h, and in there it said include pins_RAMPS.h. That's where I found the other temp_sensor_1 line, changed it to 3 and it all works now. Still not sure what to do about the fuse though.